A tattoo will be a lifelong piece of art that is attached to your body. Where you decide to get it and what image or words you choose will affect the way you look, the way people see you and the way you feel about yourself for years to come. It is therefore very important that you choose the right tattoo to ensure that you are happy with your decision for life. Why do you want to get a tattoo? There are many different reasons why people want to get tattoos. A need to portray a part of themselves in an artistic way for the world to see, the desire to make a statement about who and what they are or simply liking the look of body art are common reasons. Other people use tattoos as a way to immortalise events that have some meaning or people that they love or that they have loved and lost. Whatever your reason for getting a tattoo, you should make absolutely sure that it is what you want because it will with you forever. The only way of removing a tattoo is by undergoing expensive laser tattoo removal which is an expense that you could have avoided if you had made certain about what you were doing in the first place. Think carefully about the reason you want to get a tattoo, make sure that you will be happy with it when you are in your seventies or eighties and research the tattoo process so that you know for sure that you are making the right decision. Who do you feel that you are and how do you want to portray who you are? If you have thought about it carefully and decided that you definitely want to get a tattoo, the next step is to decide what you want that tattoo to say. It should be something that represents a core part of who you are. You should also be aware that unless it is in a very private place, other people are likely to see it and will read into its meaning and what it says about you. Make sure that you are comfortable with what others see the tattoo as meaning as well as what it means to you. What sort of art and style appeals to you? Take the time to review your favourite artists and the style that appeals to you. If you are drawn towards a gothic look, full of dark fairies, twisting ivy and black wings, then explore that look. If you are more interested in a contemporary ‘hippy’ look, investigate swallows, flowers and peace signs. There are some symbols that are very common, for example stars, but if they mean something to you then you should not shy away from them. Is it a personal thing or something you want to world to see? One of the most important things to decide, which will also affect the type of tattoo you choose, is where you want the tattoo to be. If it is a personal thing, you will probably want it somewhere more private and hidden from the world. If it is a representation of your style and who you are you will probably be more interested in displaying it somewhere more obvious. Again, you will have to think very carefully about where you want your tattoo to be and what it will mean for your future. 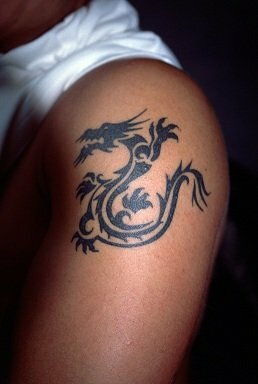 You might be lucky enough to be sure of what you want your tattoo to look like, in which case you could go straight to a tattoo artist and get it drawn out. However, if you are unsure a great way of finding some amazing tattoo ideas is on the internet. Simply by ‘Googling’ the word ‘tattoo’ you will be flooded with a myriad of different tattoos that may inspire you. 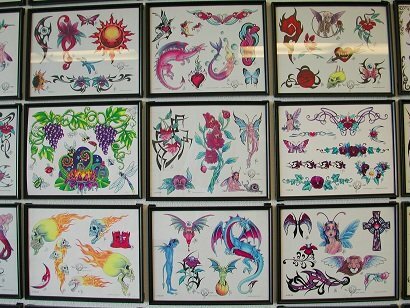 You could also look at specific tattoo artists websites and see what they have to offer. A great website that could help you is www.tattoofinder.com. This website claims to be the world’s largest tattoo gallery. If you cannot find something there to inspire you, it is doubtful that you ever will!